William H. West, shareholder in the Nashville office, concentrates his practice in the areas of state regulatory issues and civil litigation, primarily related to health care. 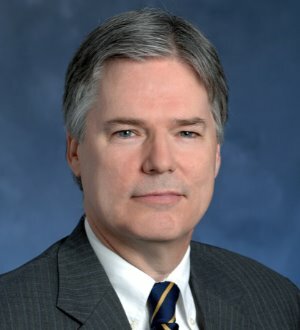 In addition to extensive representation of clients with issues relating to certificates of need and other state and federal health care regulatory matters, he has been counsel for the prevailing party in such cases as: Air Evac EMS, Inc. v. Tennessee Board of Emergency Medical Services et al, 486 F.Supp. 2d 713 (M.D. Tenn. 2007); Souder v. Health Partners, Inc., 997 S.W.2d 140 (Tenn. App. 1998); Charter Lakeside v. Health Facilities Commission, 1997 Tenn. App. Lexis 598; Odle v. Tenn. Dept. of Health, Tenn. App. Lexis 108 (1993); and Jordan v. Dellway Villa, 661 F.2d 588 (6th Cir. 1981), cert. den. 455 U.S. 1008 (1982). Mr. West has a wide range of experience in developing innovative regulatory and litigation strategies for clients, including utilizing the Tennessee Sunshine Act to restore PPO provider status for a client physician; successfully prosecuting a federal preemption challenge to state air ambulance regulations; and being lead counsel for a successful plaintiff class in the first reported class action for damages tried to conclusion under the federal Fair Housing Act.